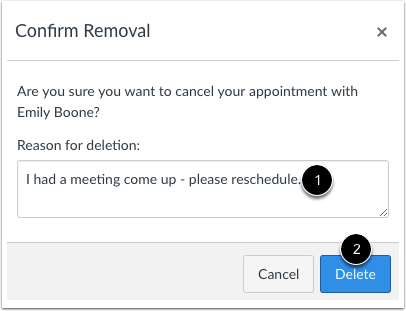 You can remove students from appointments in the Scheduler if necessary. 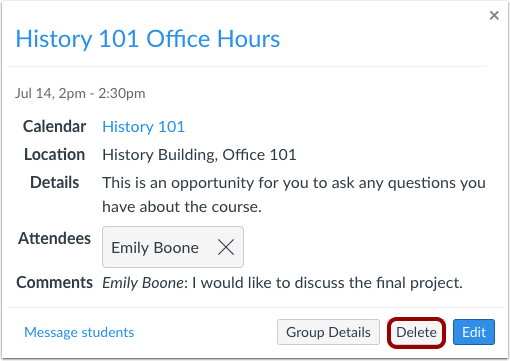 Note: If user participation is limited to dates between the course start and end dates, Scheduler events cannot be edited or deleted after the date the course ends. Find and click the appointment slot. 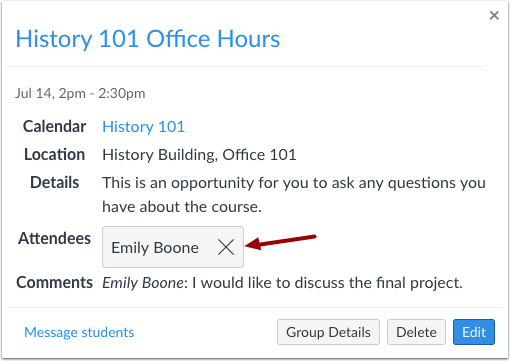 If you want to retain the appointment time slot but need to remove the specific student, click the Remove icon. Type the reason for deletion in the Reason for deletion field . Click the Delete button . 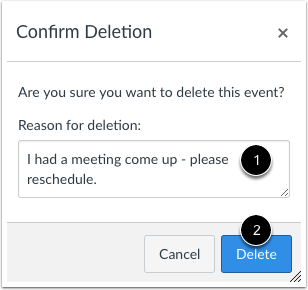 If you need to remove the entire time slot, click the Delete button. 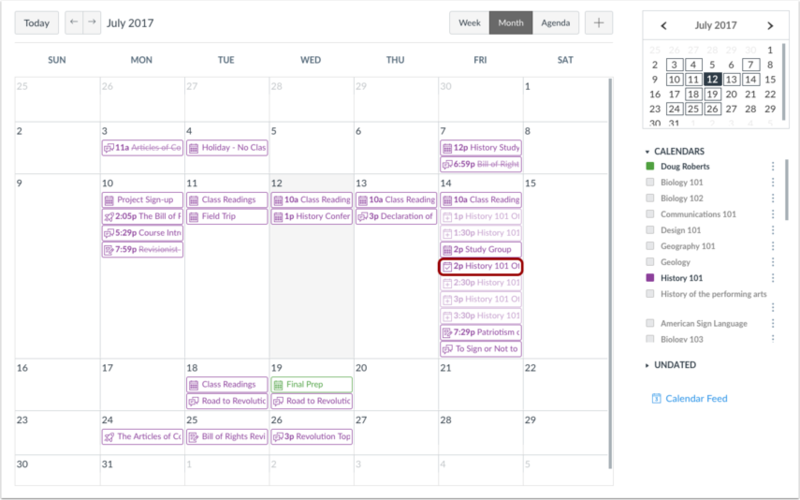 Previous Topic:How do I view or edit a Scheduler appointment group in a course calendar? Next Topic:How do I use Chat as an instructor? Table of Contents > Calendar > How do I remove students from a Scheduler appointment in a course calendar?